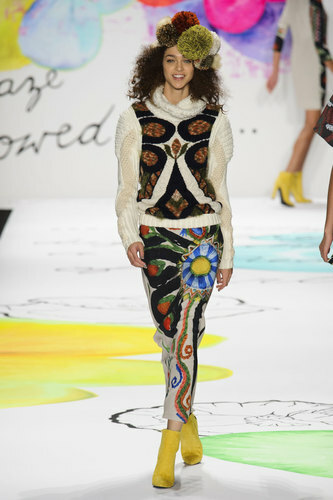 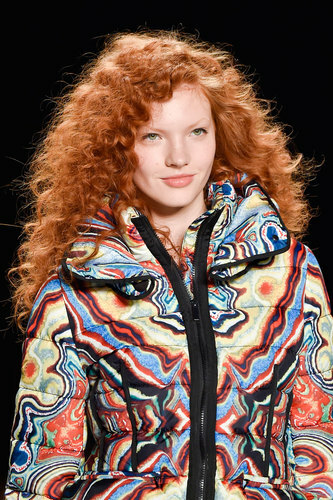 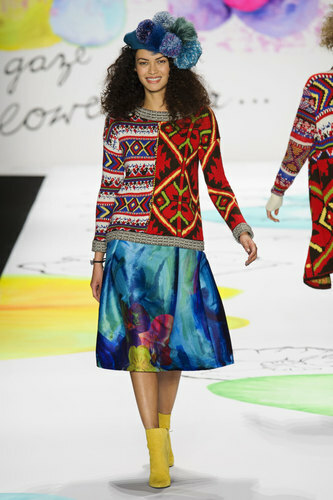 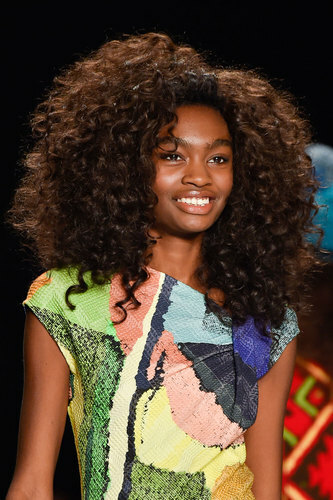 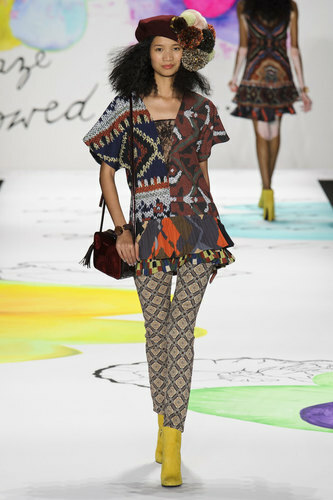 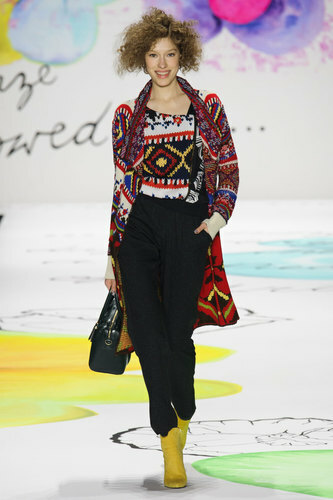 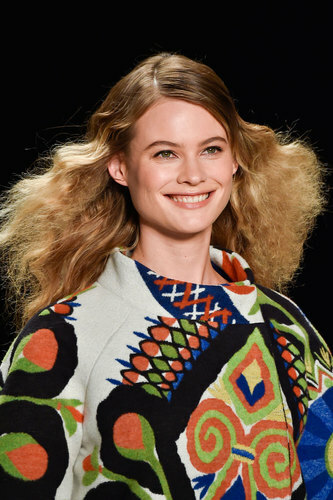 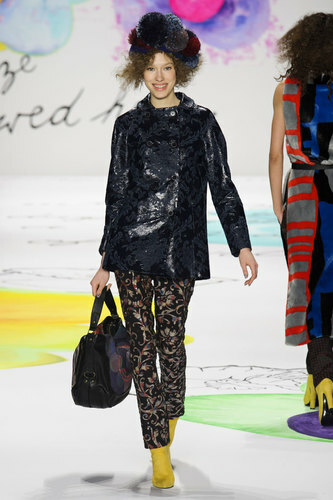 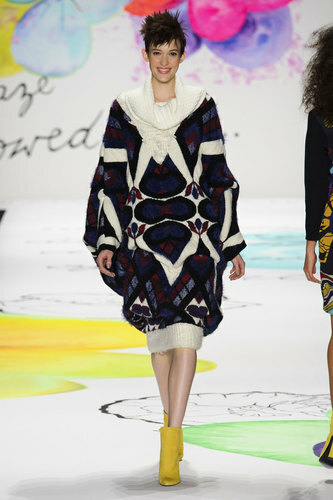 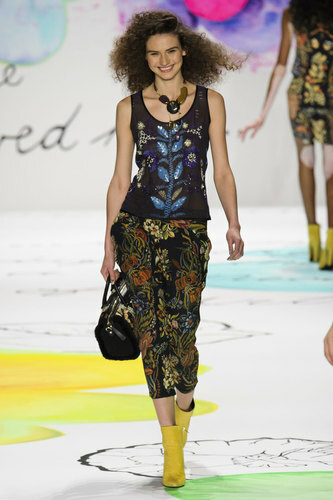 Desigual Women Autumn-Winter 2015 – Desigual has renowned it’s brand with fun catwalk shows, showing bright colour and abstract patterns throughout the clothing but what will they bring to the runway for the New York Fashion Week Autumn/Winter 15 collection? 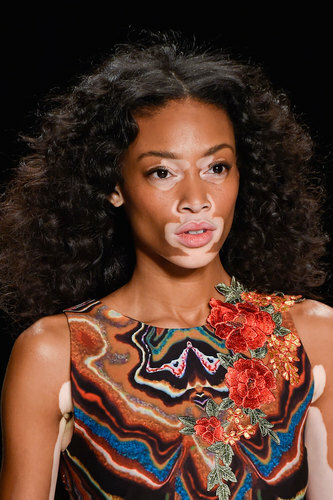 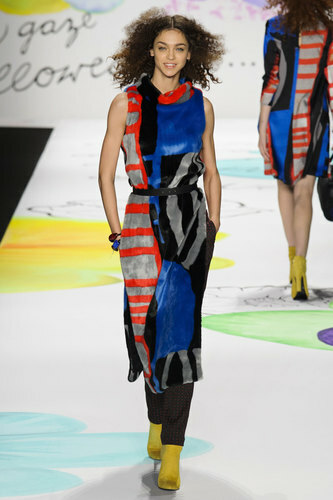 Winnie Harlow, the fashion worlds next top model, modeling one of Desigual’s first looks, an asymmetrical patterned dress, with a variety of browns and blues, as well as contrasting reds, oranges and greens scattered through the pattern – a color scheme that screams autumn but not boring; fun, bright and easy to wear – reflecting their brand style and previous collections. 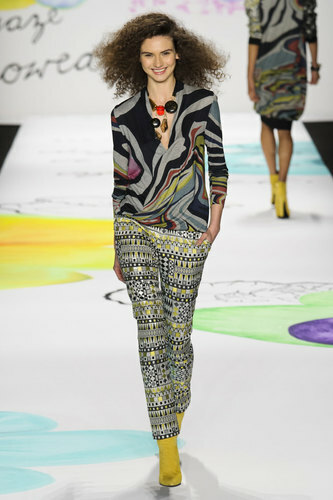 With a pop art like feel, there is a variety to suit any body shape, form and style. 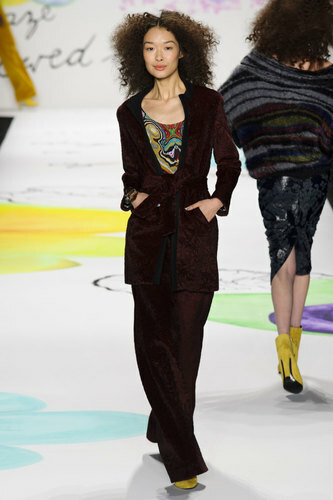 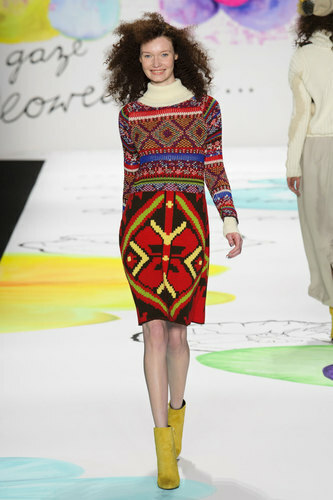 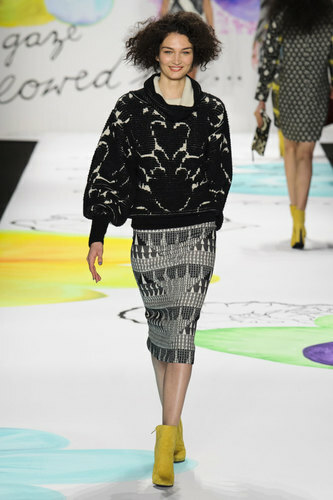 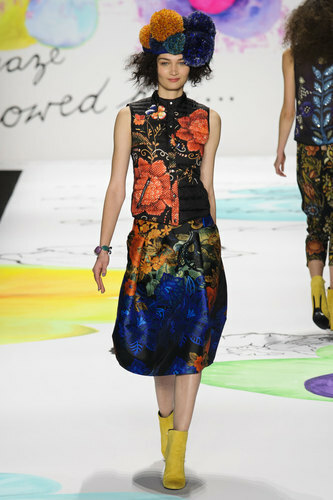 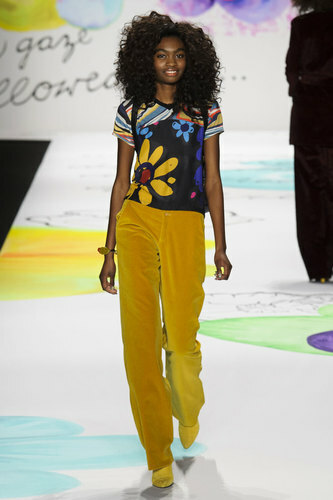 A variety of clothing dominated the catwalk, from black suit trousers paired with flamboyant tops, marbled patterned skirts matched oddly (yet strangely appealing) with Christmas like knitwear all paired with primary coloured yellow suede shoes, Desigual is a collection to look watch for in the up and coming autumn/winter season.